An open-ended debate gets held regarding the gender imbalance present in the STEM field. This is headed by the presiding officer and Mr. Ian Grieve. An open-ended debate gets held regarding the gender imbalance present in the STEM field. This is headed by the presiding officer and Mr. Ian Grieve. Many members are present at the debate along with the Minister to share their inputs regarding the debate topic. At 0:28, the debate begins with Mr. Gray who put forward his opinions on the topic ‘Women in Stem’. He begins stating that in the year 2012, the Royal Society of Edinburgh published the first tapping all our talents report. He further adds on that the report turned out to be a really comprehensive analysis of the gender inequality that was happening. The highlight of his talk was the results of the 2012 report. It was stated that though women had begun to excel in every field overcoming many barriers, studying the same subjects to a graduate level, 73% of women did not proceed to pursue the career in STEM. This report turned out to be evidence of the criminal waste of talent. The report also stated that doubling the women number into the workforce would turn out to be worth nearly 170 million pounds to Scotland’s overall national income. At 6:18, he put forwards another mechanism which has been designed in order to eradicate the gender inequality in STEM. He adds on that the RSC has now planned a lot of follow-up work and special exhibits would be held that depicts the role of women and celebrate their achievement. The team had planned special discussion meetings with the representatives from the various departments to discuss issues raised in the report and what measures that can be taken. The latest report clearly indicates the demand of focus to be held to bring in a change in the behavior of the biased system and gender inequality. At 8:03 the presiding officer offers a chance for Miss Adamson to showcase her views on the business women in STEM. Miss Adamson graciously accepts the opportunity and appreciate the review and republication in the year 2018. She appreciated all the women who have made the country proud and happy that the STEM graduates in the UK have vitally increased from 27% to 30%. 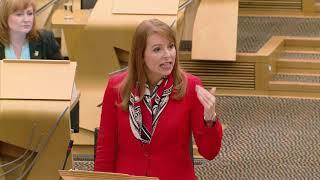 At 10:40 she brings in a set of the statistical report of the freezer valent institute that has conducted research showing that two million eight hundred and twenty-six thousand jobs are present in Scotland, out of which 837,290 jobs is going to get impacted by the 4th industrial revolution. At 12:07 the presiding officer calls for Mr. Alexander Burnette to share his opinions towards the debate topic. He appreciates the society wholeheartedly for raising the voice in this very important gender inequality issue present in STEM. He adds on that though there has been some considerable improvement in the proportion of women participating in STEM and that the country’s mistake has been on the sides of country’s reputation in science, technology as well as engineering. At 14:16, Mr. Alexander put forward that losing women in the STEM field had indeed weakened both the Scottish business and the economy as well. He highlights that Scotland’s economy has increased at only half the rate when compared to the progress of the UK. He adds on that this had eventually led to a gap in innovation as well as the market opportunities. He states that while meeting data lab chief Miss McCrory and from her, it was very clear that Scotland had to do a lot of changes so that it shines in the business field with many women in the STEM arena. He states that representatives from the various field must come forward with new technologies to overcome the gender inequality gap in STEM. 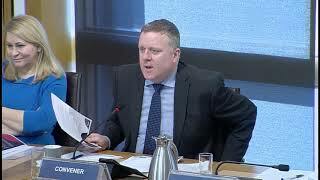 At 16:17, James Kelly is asked for his insight on the debate topic by the presiding officer. He firmly believes that the latest talent report is very vital as it provides the benchmark from the year 2012 till now and the path of progress that has happened in this field. He aligns his opinions with Mr. Gray stating that there had been progressing compared to the year 2012. At 20:02 he puts forward that there is a need for a more concentrated effort from all the sectors. The awareness and the effort must be from the primary school through the higher education as well as from the industry sector. This will prove to be vital as many more women would participate in Stem. At 24:52 the Minister begins to represent his view on the various insights and options provided by people regarding the proportion of women present in STEM and their contribution. He begins thanking Mr. Ian grieve and the presiding officer for the opportunity. He further extends his thanks towards the other members who have provided their ideas and suggestions. At 27:27 the Minister states that the report had clearly indicated that the progress needs to be more rapid and intense and explains clearly the scenario of the persistent gender imbalance and the subjects in the labor market. At 30:25 the minister clearly mentions that there are many resourceful people from all sectors present who are ready to bring in changes to tackle the gender imbalance in the STEM. He further adds on that right from primary education the awareness should be present ensuring that many women come forward being a part of the STEM field thereby eradicating the gender balance thereby resulting in an increase in Scotland’s economy.